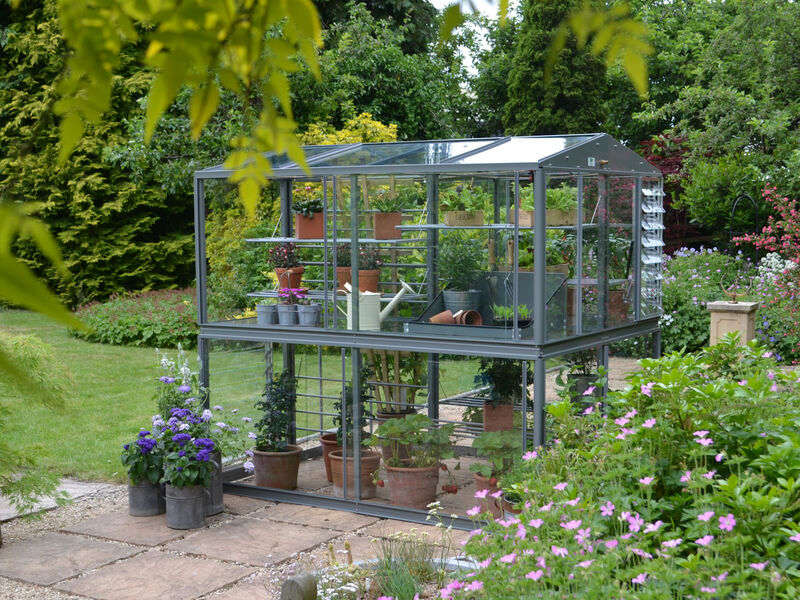 Designed to provide as much growing space as a small conventional greenhouse, but in a much more compact footprint, the Chatsworth greenhouse opens up a range of possibilities for customers put oﬀ from having a large greenhouse that dominates the garden. 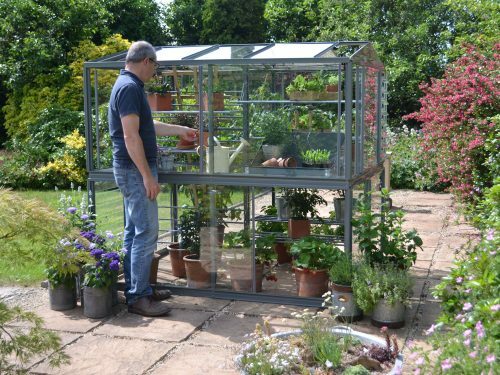 Unlike a conventional walk-in greenhouse everything is accessed from the outside, eliminating the central path and allowing the height to be much lower. 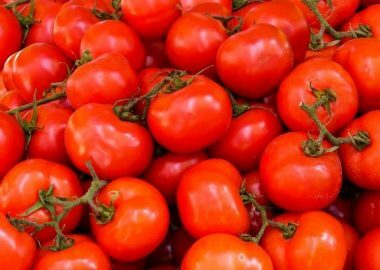 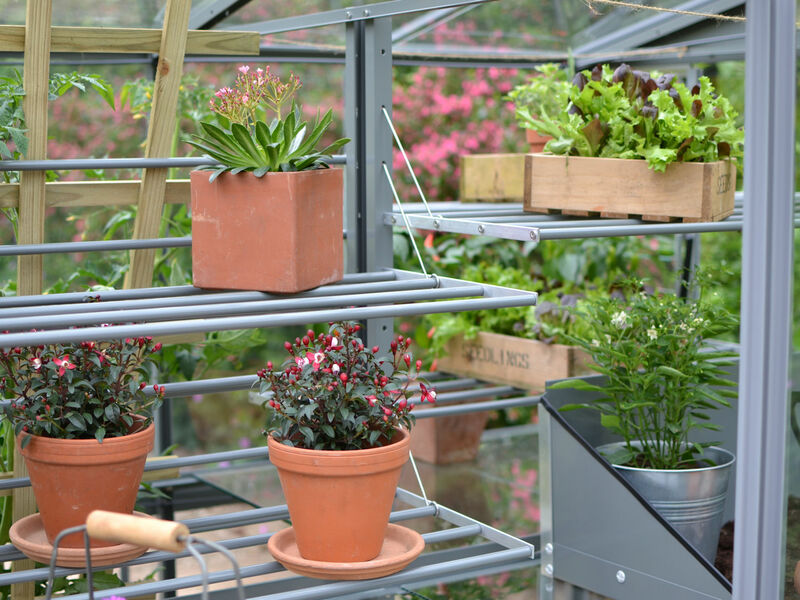 Access into all areas of the greenhouse is easy due to the sliding panels on all 4 sides. 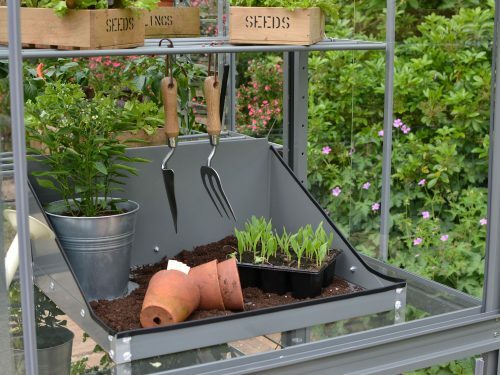 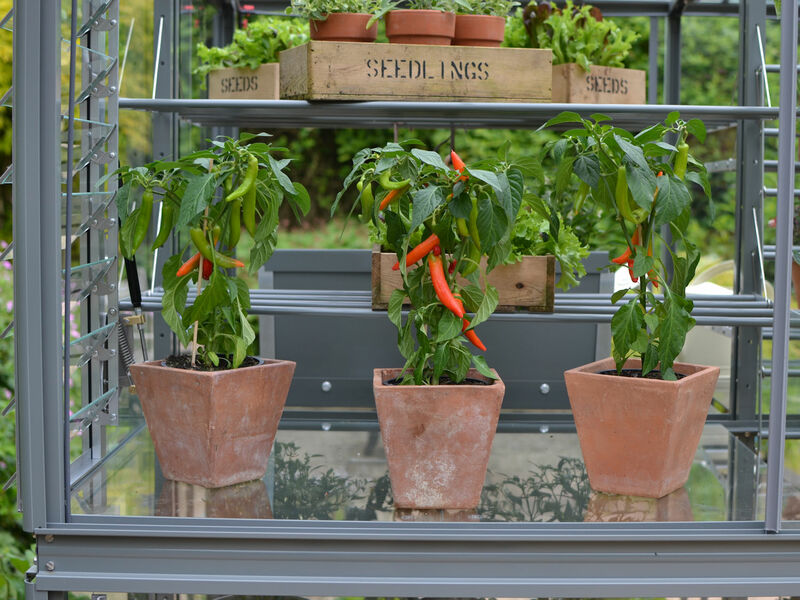 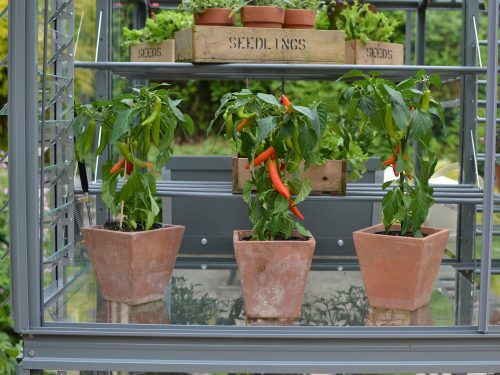 Glazed in with 4mm toughened safety glass, the Chatsworth greenhouse comes complete with 2 tier mist watering system down each side, 10 extra wide, adjustable seed tray shelves and toughened glass middle staging, removable for taller crops. 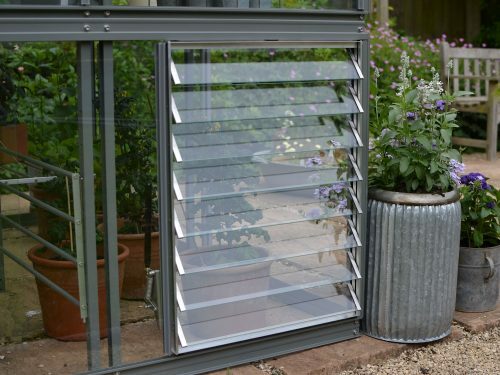 Includes two automatic louvre vents which open and close as the temperature changes; in addition the roof panels slide for extra ventilation on a hot day. 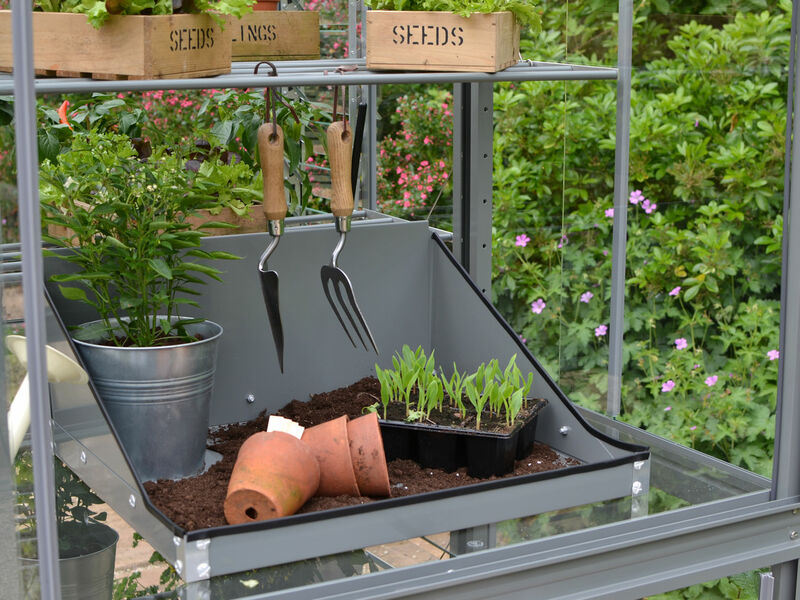 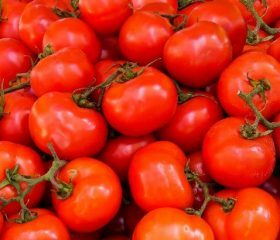 Also includes a potting tray colour coated to match your greenhouse. This model has sliding doors on all 4 sides. Designed to be free standing, it is recommended that the greenhouse is installed on a level base of concrete or slabs. 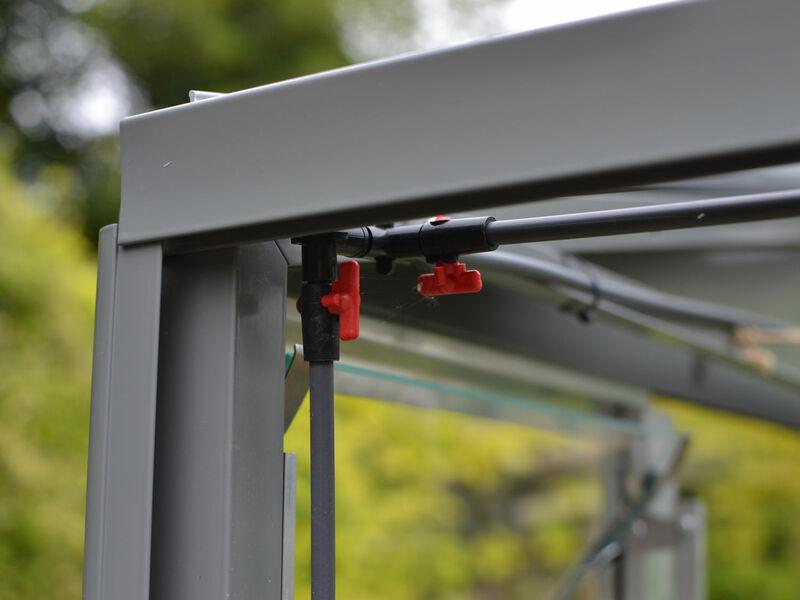 Aluminium structure comes with 25 year framework guarantee. 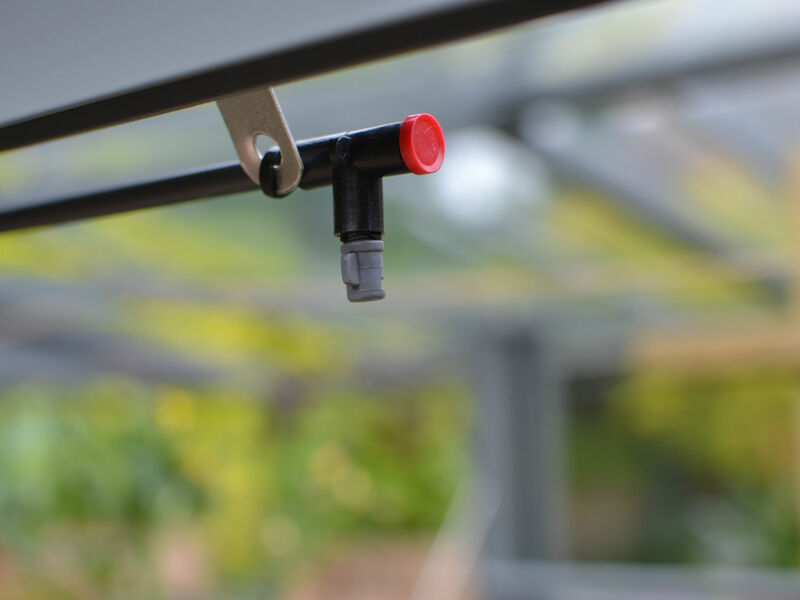 We can install in mainland areas up to 140 miles away from our factory. 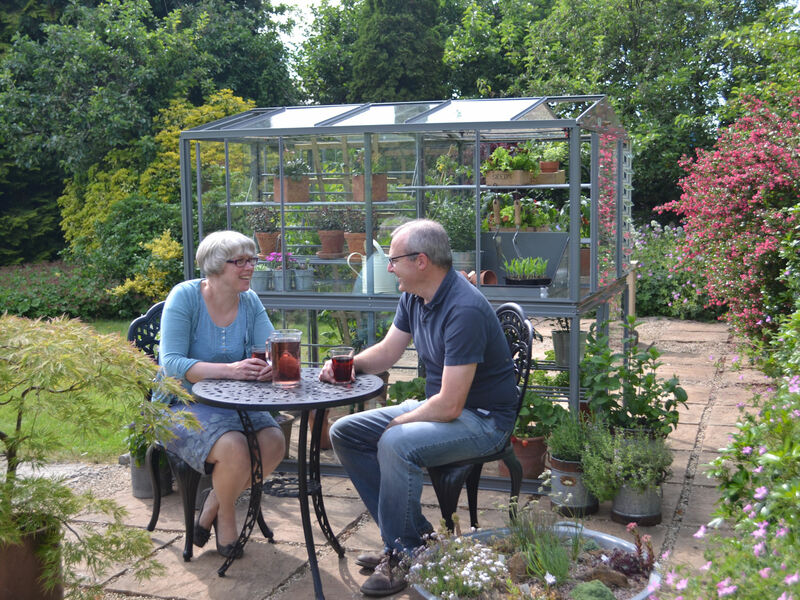 Approx prices up 60 miles £229, between 61-100 miles £289, between 101-140 miles £349. The framework can be Colour Coated: Racing Green, Arctic White, Chestnut Brown, Cotswold Green, Smokey Grey, Anthracite, Black or Antique Ivory. Spread the cost using our Payment Plan Pay 4 monthly payments more info.